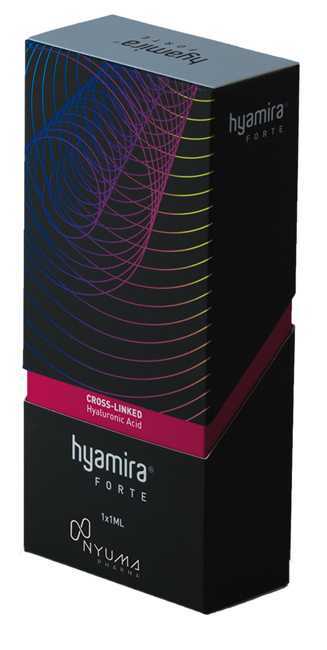 Hyamira Basic is an unique hyaluronic acid based dermal filler, manufactured by the Italian company Apharm that is ideal for treatment of perioral wrinkles and contouring of the lips and eyebrow area. Treatment of perioral wrinkles and for lip and eyebrow contouring. 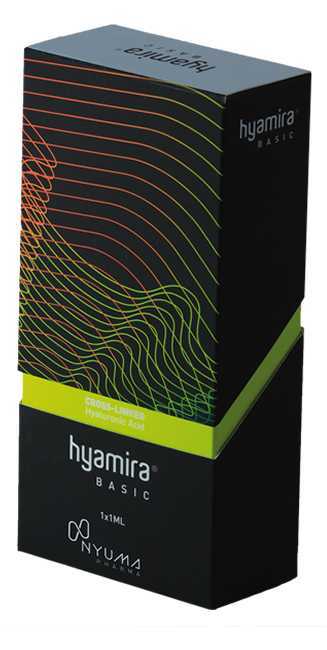 Hyamira Basic contains cross-linked hyaluronic acid 20 mg/ml. Hyamira Basic with hyaluronic acid is designed for the correction of an average depth of wrinkles and the modeling and increase of the lips. Hyamira Basic is a monophasic, colorless gel filler, based on cross-linked hyaluronic acid . Hyamira Basic 1ml new generation of fillers ideal for subcutaneous applications. Hyamira is a sterile, highly tolerated, viscoelastic filler made with cross-linked hyaluronic acid that is designed to last longer. 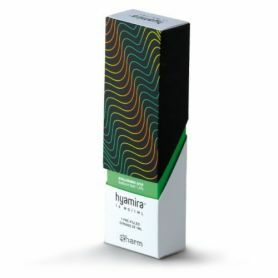 Hyamira Basic 1ml increases the volume of the dermo-epidermal tissue due to its natural ability of hydrophilic hyaluronic acid molecules attracting a moderate amount of water molecules to bond with them. This allows the integration of the intercellular matrix, whilst filling intradermal spaces and making the tissues firmer. The cross-linked hyaluronic acid contained in the product makes this filling effect longer lasting and more stable, the skin slowly absorbs Hyamira in 6 to 8 months, looking more natural for longer. Hyamira increases the volume of the dermo-epidermal tissue due to its natural ability of hydrophilic hyaluronic acid molecules attracting. The dermal filler effectively fills intradermal spaces and makes tissues firmer, improving skin elasticity and turgidity. Diminishing and treatment of perioral lines. Correction of lip and eyebrow contours. Deep hydration and overall rejuvenation. 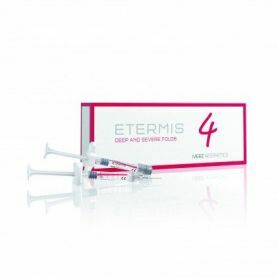 The product is injected into the deep dermis avoiding hypercorrections. If necessary, the physician can perform corrections with both the serial puncture and linear retrograde techniques, according to her dexterity. Hyamira is a sterile, highly tolerated, viscoelastic filler made with cross-linked hyaluronic acid that is designed to last longer. Hyamira increases the volume of the dermo-epidermal tissue due to its natural ability of hydrophilic hyaluronic acid molecules attracting a moderate amount of water molecules to bond with them. A new generation of fillers ideal for subcutaneous applications. Hyamira is a sterile, highly tolerated, viscoelastic filler made with cross-linked hyaluronic acid that is designed to last longer. Do not produce a rigid facial expression. -For the intervention on the epidermis it is indicated Hyamira SOFT. Hyamira Soft contains 16 mg / ml. 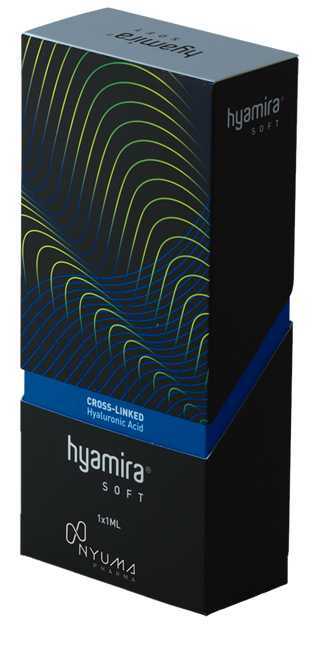 Hyamira soft with cross-linked hyaluronic acid is designed to correct minor wrinkles and small areas. -For the intervention on the dermis it is indicated Hyamira BASIC. Hyamira Basic contains 20 mg / ml. -For the intervention on the hypodermis it is indicated Hyamira FORTE. Hyamira Forte contains 24 mg / ml. Hyamira Forte hyaluronic acid is designed for the correction of deep wrinkles, furrows, cheeks, draw the oval of the face.